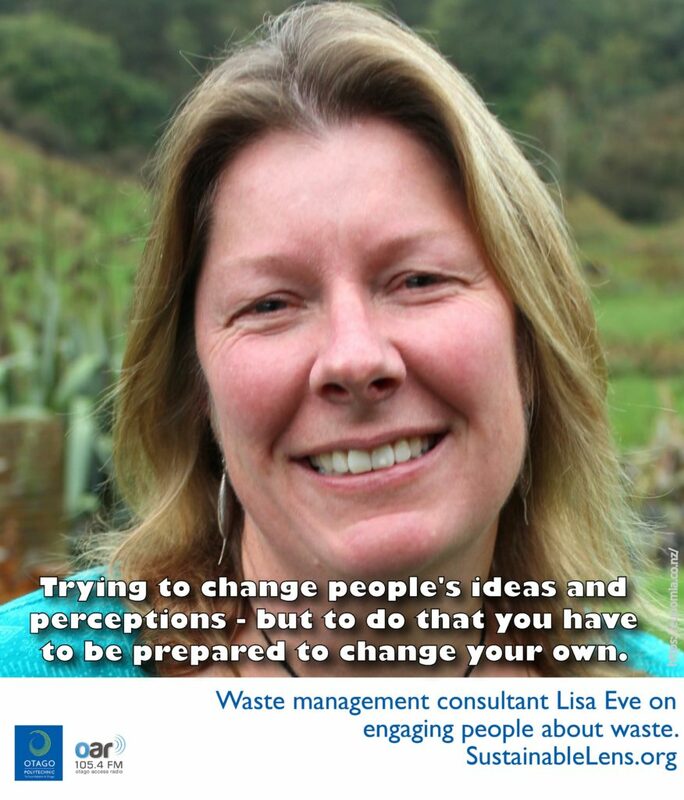 Lisa Eve is a waste management consultant at Eunomia Research and Consulting. We talk about her background – how she became a specialist in waste, and why it is so important. Helping people to make a real difference in their lives. We’re not good at seeing waste as our problem – it’s someone else’s crisis, “they” should fix it. In New Zealand pretty much everything goes to landfill, and biodegradable is really bad in landfill – we have to work on that. Activist: Yes, Trying to change people’s ideas and perceptions – but to do that you have to be prepared to change your own. Try and educate yourself – not by reading facebook. Be positive – surround yourself with people.